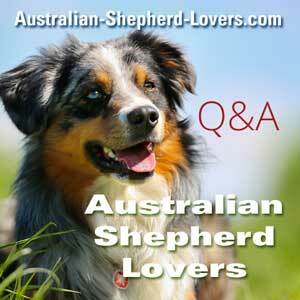 What is the best brand of puppy food for an Australian Shepherd puppy? My vet has said a large breed puppy food since he will be about 55 lbs. Royal canine was suggested but it's not specific to Aussie puppies. Comments for What Is The Best Puppy Food? Pro pac ultimate puppy food. I'd strongly recommend the Wellness large puppy food. My puppy had severe GI issues, during which I did A LOT of research on puppy nutrition and ingredients in dog food. He was originally on 4Health from tractor supply, which was what his litter had been eating. That initiated the start of GI issues. We next tried Fromm puppy food, but had no luck. Then he was put on the Royal Canin prescription puppy GI formula, which helped his GI issues some. However I really did not like feeding him Royal Canin-despite it being advertised as a high quality food, the ingredients reveal that it is full of cheap grain fillers, meat byproducts and byproduct meal (rendered animal parts), and countless other processed ingredients which I can't even pronounce. I slowly transitioned my aussie pup to the Wellness puppy complete health formula, and he has done better than ever for the last 3 months! His GI issues have gone away, he has firm regular bowel movements, he enjoys eating it, it's supporting his growth, and his coat is beautiful. The Wellness food contains real meat, no byproducts, no cheap fillers, and lots of human grade fruits and vegetables with added probiotics. It's affordable and has really helped my puppy.